Extremely rare Finnish prog album from 1975. First time in CD-format. -72 / 73 St. Marcus blues band music turned more experimental. 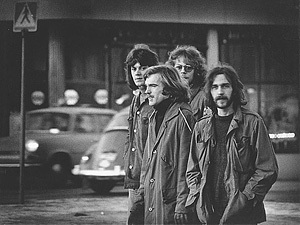 The new music style, progressive rock, became popular in the seventies. Bands like Genesis, Yes, Mahavishnu Orchestra were big fluences, and the name was changed to a more suitable name: Fantasia. 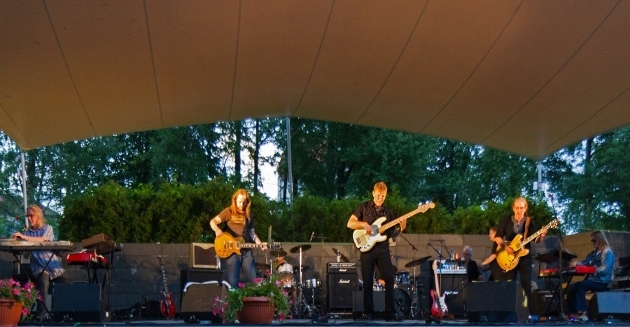 In the beginning the Fantasia members were almost the same as in Stmbb; Jukka "Juki" Halttunen guitar; Markku Lönngren bass; Paavo Osola keyboards; Karl-Erik Rönngård drums; Hannu Lindblom guitar and vocals. 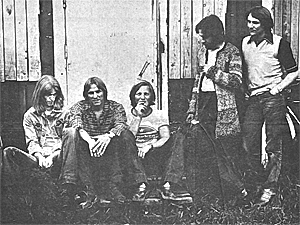 This band won the Finnish rock championship 1974 and got a lot of publicity and gigs. 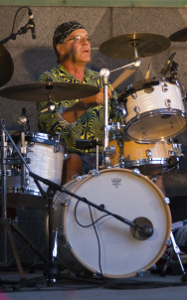 A record deal with Hi-hat was also a part of the victory. 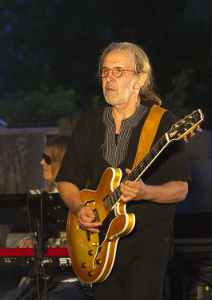 The record was released in 1975, produced by Mikael Wiik and Ronnie Österberg . The record called, "Fantasia", is today a popular collectible, often valued in hundreds of euros. 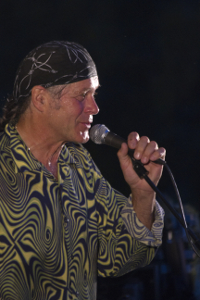 As the popularity of progmusic faded at the end of the seventies, and as Hi-hat records was not willing to make a new record, the frustration in the band led to another crew change. 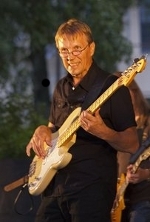 Bassplayer Harri Piha joined the army, and like many others in this time period, he moved to Sweden, searching "for bigger events”. 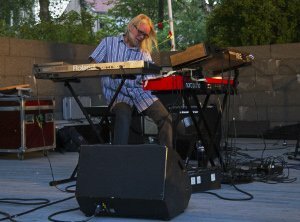 Roul Helantie changed to bass and keyboard player became Paavo Osola, already known from early St.Marcus bluesband lineups. 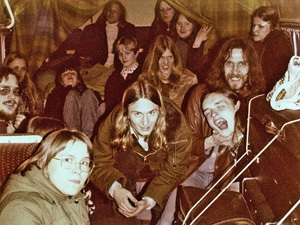 In 1976 the band made a small Russian tour (Leningrad - Riga - Moscow), and was after the tour joined by a fifth member; keyboard player Mikko Laine. Roul Helantie could concentrate more on the electric violin and ARP syntheziser. 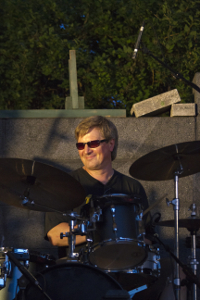 Shortly after this, drummer Karl-Erik Rönngård, keyboardplayers Paavo Osola and Mikko Laine left the band. 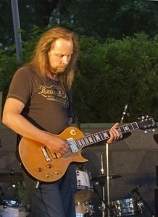 New members were; drummer Thomas Lindström, guitar player Timo Hautamäki and keyboard player Ronnie Ehrs. After a few years, it was time to get " back to the basics" or musically back to the time before Fantasia, so Stmbb was recreated. The double CD STMBB released 2007, called ”2 Sides”, contains songs that sound like done by Fantasia in the 2000 century. 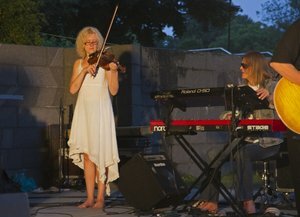 Even after the songs where recorded, a name change was considered, but the ”bluesy” over all feeling, left us with no choice: St.marcus bluesband, later shortened to STMBB. 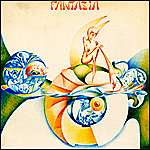 The bands sole record "Fantasia" became a rare collectable. It was worth between 100€ and 200€, depending of the shape. Despite the demand Warner music, owner of the rights, didn't take intrest in a re-release. But Rocket Records negotiated with Warner music and the CD was remastered and re-released in the summer 2010. The reissue has already been sold more than the original LP, or in other words, over 2000 examples. It has been sold not only in Finland, but also in the other Northern countries, Japan and USA. and in the early 2011 the original LP was reissued. "Not bad for a 35 year old progdisc". The lower limit for a "gold disc" in Finland is as a comparison 10 000 sold CDs. FANTASIA made a reunion concert at the Jakobs Dagar festival 21.7.2011 in Jakobstad. 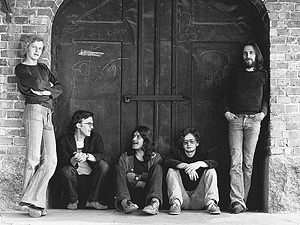 The group contained of members from the seventies , and some new upcomers. Drums/Percussion: Karl-Erik Rönngård , Thomas Lindström Bas: Hannu Pirttimaa , Markku Lönngren Keyboards: Ronnie Ehrs , Simo Vasanoja Violin: Johanna Lönngren Guitar: Göran Fellman Guitar & vocal : Hannu Lindblom At the concert we heard music from the ”Fantasia” record and some unpublished material. in the beginning of 2012.